March 30 is officially National Doctors Day. At the Clinical Research Center, we’d like to commemorate this day with a shout out to all the providers at The Corvallis Clinic who work on clinical studies – in addition to taking care of their regular patients. Readers should understand that when providers choose to work on a clinical study, they have committed to completing study-specific training, seeing study participants for research visits, filling out extra paperwork, and essentially “being on call” for the Clinical Research Center staff if any issues arise. It is a lot of extra responsibility! At first, it might seem surprising that providers would sign up for the extra work involved in clinical studies. However, research providers want to participate in studies because they understand this is the process for bringing about new and improved treatments that they hope to one day use in their own practices. On March 30 we salute Drs. Daniel Barrett, Michael Chen, Brian Curtis, Vincent Gimino, Nicole Kruppa, Amey Lee, Griff Liang, Christy Rivers, Roland Solensky, Weijia (Alex) Wang, and Family Nurse Practitioner Ruth Palma. All of these Corvallis Clinic providers were recently or are now engaged in cutting-edge clinical research. Thank you for going the extra mile! To read more about the history of Doctors Day, visit here. 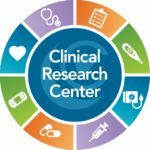 The Clinical Research Center is currently seeking volunteer participants in studies to prevent recurrent yeast infections in women, Type 2 diabetes, and reducing cardiovascular risk in obese patients with existing heart disease. Click here if you’d like to be contacted about one of these studies.